Parade was able to help me plan the wedding of my dreams in Italy. They were able to take my vision and bring it to life despite me living in a different country. Throughout the whole process I knew the big day was going to be perfect due to their attention to detail, communication and talent! I couldn’t have asked for better planners and now I have amazing memories to last me a lifetime. We are overjoyed about your happiness! Warm regards to you and Ryan! What to say, our wedding has been a dream and it wasn’t easy not only because we live in America and planning and organizing everything was very hard but thanks to parade wedding we realized all our dreams. 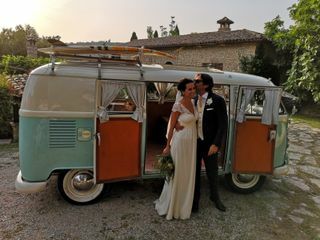 If, like us, you live aboard and planned to married in Italy, you have to choose Giorgia and Anna Veronica to help you! They are creatives, patients, flexibles, of course really disponibles and they make you feel confident for this big day. With our dream wedding is coming true! I managed to organise a three day wedding event in Rome for 48 guests via email and WhatsApp without having seen the venue or tested the food thanks to this duo! It was amazing to see everything I had dreamed of in my wedding come true thanks to their hard work, professionalism and responsiveness. Highly recommended! We had a valid and strong support in organizing our wedding. Parade wedding satisfied all our demands with creativity. They found the best and cheapest solutions. Parade Wedding Planners are amazing!!!! 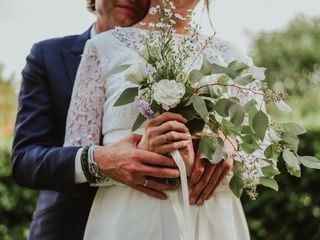 Planning a destination wedding can be very stressful, and trusting someone to do everything exactly as you want is daunting, but Anna Veronica and Giorgia took our hopes and thoughts and made it a reality. They are a great team who are efficient, patient, hard working, talented, tasteful and lovely people. We trusted them to execute everything for 3 different events on 3 different days and each one was not just perfect, but even better than we could have imagined. 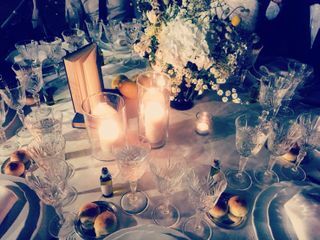 The venues were magnificent, the options were outstanding, everything was fabulous. Not only did we love everything, but our guests were in awe of how the events went smoothly and just had fun. 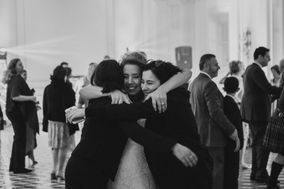 Anna and Giorgia organized every single detail and had the best suppliers to choose from. We also had some last minute requests and they made it all look so easy. They are the best event planning team and the nicest people who you can trust to make your dreams come true. The dream team! It was exiciting planning our wedding day with the Parade Girls, the perfect partner for a very special event. They were careful with all our desires, very professional in order to manage all providers, creative and chic in every final solution. Five stars for them!! Parade weddingplanners made our wedding perfect! We live in the Netherlands and we found them online. 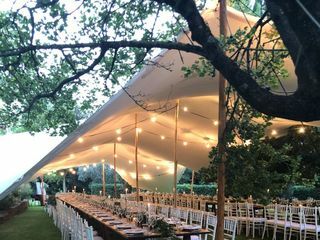 They came up with the best catererer, photographer, sound people and made the location look really perfect! They always respond reaaly quick to our mails. They answered every question we had. Thanks for facilitating our perfect wedding! Marrying is something unique, magical and unrepeatable. Anna Veronica and Giorgia, this, have understood it first and have been able to do great things taking care of the smallest details. They have accompanied us all from design to realization, as if they knew us from a lifetime, with their meticulousness, their commitment, and their results. That day, even though for their work was "one of the many" events, they made us perceive it as the most special of our lives. Il giorno del matrimonio è indubbiamente uno dei giorni più importanti della vita di una persona. Nella mia vita per lavoro, organizzo eventi...ma organizzare un matrimonio...beh...è tutta un'altra storia. Giorgia & AnnaVeronica sono due grandi professioniste, preparate nel loro lavoro, appassionate e innamorate di quello che fanno. Essere brave è un conto ma essere eccezionali è un altro...e loro sono eccezionali. Prima di tutto la loro rete di contatti (location, catering, fiori, allesimenti, foto video ect...ect...) è incredibile: tutti i fornitori con cui abbiamo avuto a che fare ci hanno supportato con professionalità e passione, tenendo sempre conto del nostro punto di vista, consigliandoci sempre la cosa migliore e allo stesso tempo rispettando e tutti i nostri desideri. La loro conoscenza nel mondo degli eventi, dei singoli momenti e di tutte le necessità / criticità di un giorno così importante è stata FONDAMENTALE per la riuscita dell'evento. Oltre a questo, aggiungo che impagabile è la loro disponibilità, il loro sorriso, la loro calma (e ce n'è molto bisogno nei preparativi di un giorno così importante). Averle avuto al mio fianco è stato assolutamente fondamentale per assicurare la perfezione dell'evento. Non le ringrazierò mai abbastanza. Il loro non è un lavoro...è una missione...e ogni matrimonio reralizzato con loro è unico, speciale ed inimitabile. They guided us in finding the best caterer ever, it was the most delicious food we ever tasted! 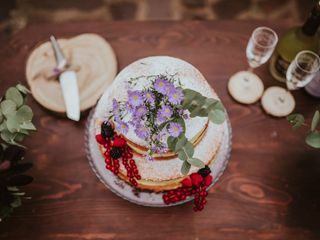 We loved the decorations of the ceremony, the tables, the wedding bouquet,... We felt like we were on the same page from the beginning, the rustic theme was as much our thing as it was theirs, which really showed in the result! 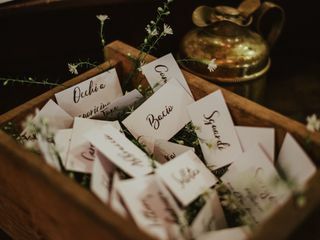 The whole wedding was not only very well organized, we could really feel that it was all very well thought through and handled with a lot of love. Their hart was in it, no effort was too much and we felt like Parade treated our wedding as it was their own. We have not one bad word about it, the honesty, the dedication, the creative minds, we couldn't have wished for more!! We will never forget this day and what Parade did for us! Since we're from Holland, most of our communication was "long distance" and not face to face. However these girls really managed to come up with an arrangement that fitted us perfectly, Spot On! Even though on the day itself the Italian sun was taking a day off , everything else exceeded our expectations! We would gladly recommend Parade to anybody !! !